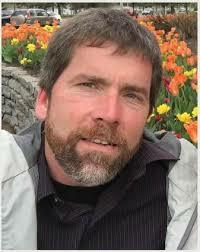 We at the NYSIPM program are always informed and entertained by the writings of CCE St. Lawrence’s Paul Hetzler. We couldn’t pass this one up! Even Santa Claus himself cannot grant a wish for a white Christmas—it is a coin toss whether the holiday will be snow-covered or green this year. A verdant landscape is not our Christmas ideal, but we can keep more greenbacks in the hands of local people, and keep our Christmas trees and other accents fresh and green for longer, when we buy local trees and wreaths. 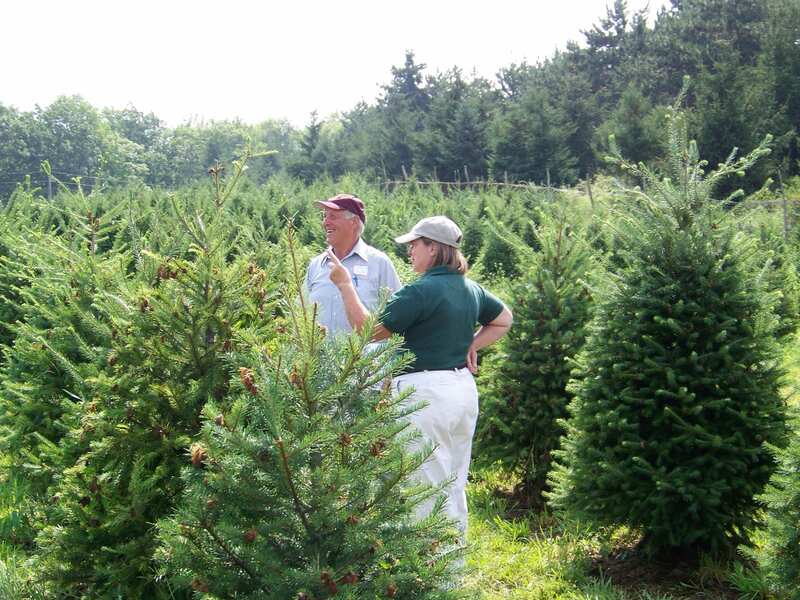 Not only are Christmas trees a renewable resource, they boost the regional economy. Even if you don’t have the time to cut your own at a tree farm, do yourself a favor this year and purchase a natural tree from a local vendor. She or he can help you choose the best kind for your preference, and also let you know how fresh they are. Some trees at large retail outlets are cut weeks, if not months, before they show up at stores. 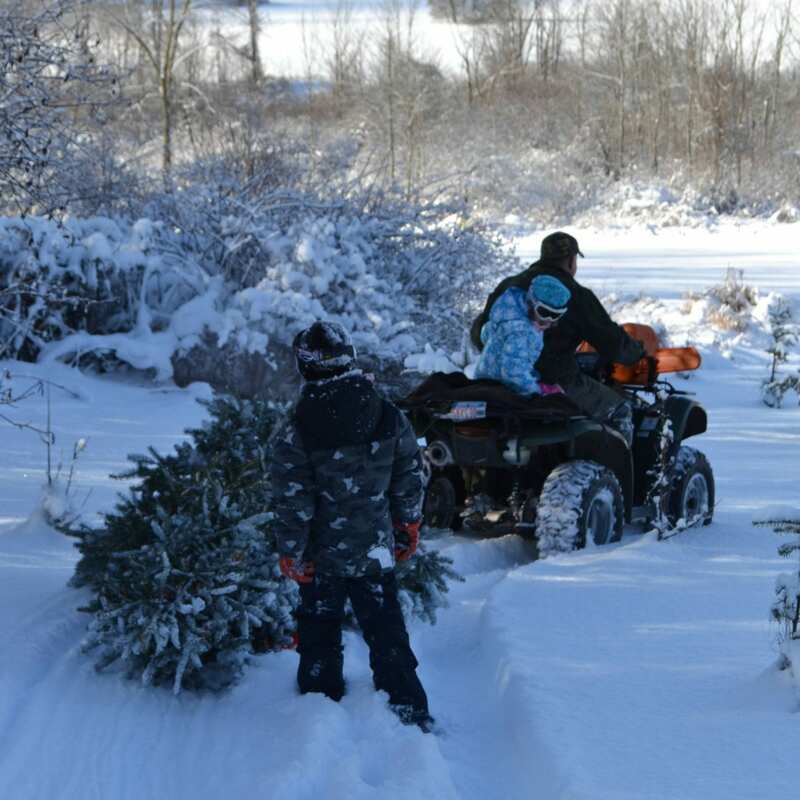 There is an additional reason to buy local in 2018: The NYS Department of Agriculture and Markets has announced a quarantine on out-of-state Christmas trees to prevent the spread of a devastating new insect pest. 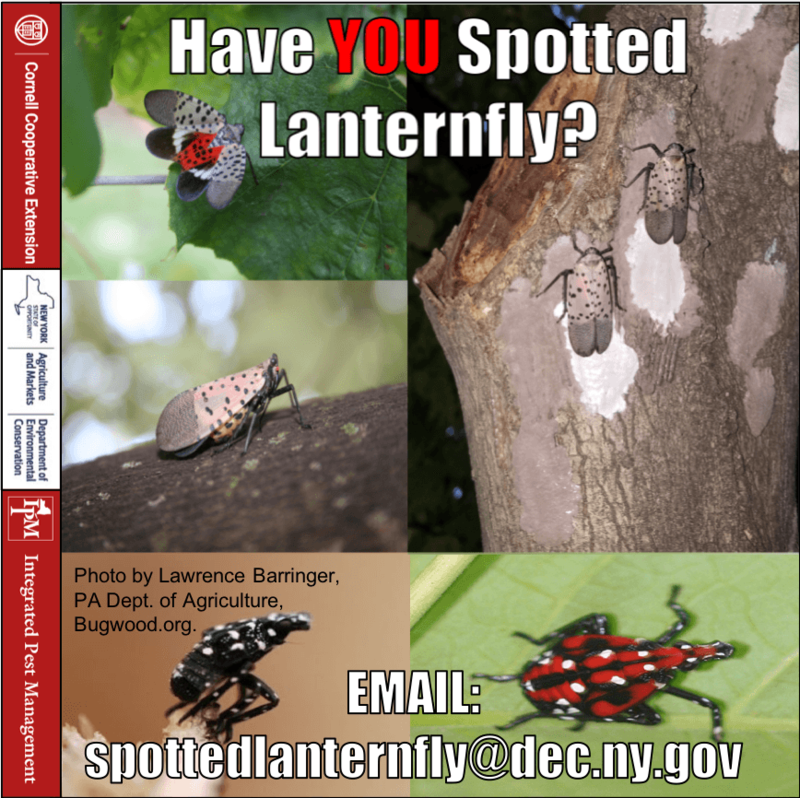 The spotted lanternfly (SLF) is a major pest of many tree species, as well as grapes and various other crops, but it is especially fond of sugar maples. First discovered in Pennsylvania in 2014, this tree-killing Asian bug has since spread into New Jersey, Delaware, and Virginia. SLF females lay their camouflaged eggs on almost anything, and in 2017, egg masses were found on Christmas trees grown in New Jersey, prompting the quarantine. Of all the memorable aromas of the holiday season, nothing evokes its spirit quite like the smell of a fresh-cut pine, spruce or fir tree, wreath or garland. Although the majority of American households where Christmas is observed have switched to artificial trees, about ten million families still bring home a real tree. Every type of conifer has its own blend of sweet-smelling terpenols and esters that account for their “piney woods” perfume. Some people prefer the fragrance of a particular tree species, possibly one they had as a child. A natural Christmas tree is, among other things, a giant holiday potpourri. No chemistry lab can make a plastic tree smell like fresh pine, fir or spruce. The origins of the Christmas tree are unclear, but evergreen trees, wreaths, and boughs were used by a number of ancient peoples, including the Egyptians, to symbolize eternal life. In sixteenth-century Germany, Martin Luther apparently helped kindle (so to speak) the custom of the indoor Christmas tree by bringing an evergreen into his house and decorating it with candles. For centuries afterward, Christmas trees were always brought into homes on 24 December, and not removed until after the Christian feast of Epiphany on 6 January. In terms of crowd favorites, the firs—Douglas, balsam, and Fraser—are very popular, very aromatic evergreens. Grand and concolor fir smell great too. When kept in water, firs all have excellent needle retention. Pines also keep their needles well. While our native white pine is more fragrant than Scots (not Scotch; that’s for Santa) pine, the latter far outsells the former, possibly because the sturdy Scots can bear quite a load of decorations without its branches drooping. Not only do spruces have stout branches, they tend to have a strongly pyramidal shape. Spruces may not be quite as fragrant as firs or pines, but they’re great options for those who like short-needle trees. The annual pilgrimage to choose a real tree together has been for many families, mine included, a cherished holiday tradition, a time to bond. You know, the customary thermos of hot chocolate; the ritual of the kids losing at least one mitten, and the time-honored squabble—I mean discussion—about which tree to cut. Good smells, and good memories. 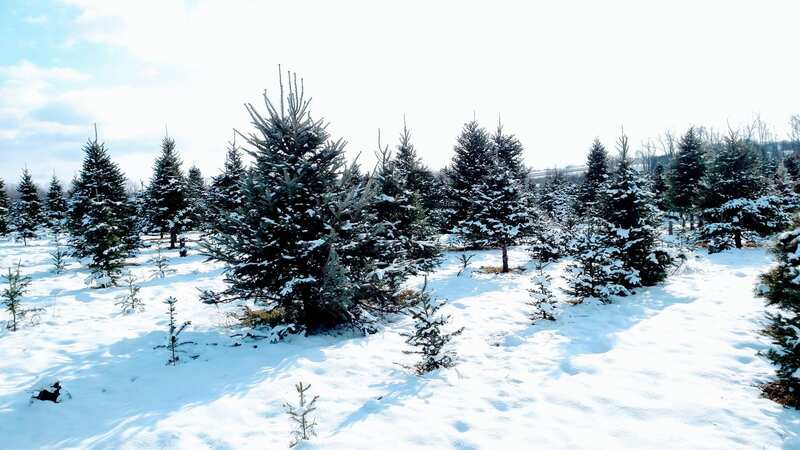 For the best fragrance and needle retention, cut a one- to 2-inch “cookie” from the base before placing your tree in the stand, and fill the reservoir every two days. Research indicates products claiming to extend needle life don’t really work, so save your money. LED lights don’t dry out needles as much as the old style did, and are easier on your electric bill too.